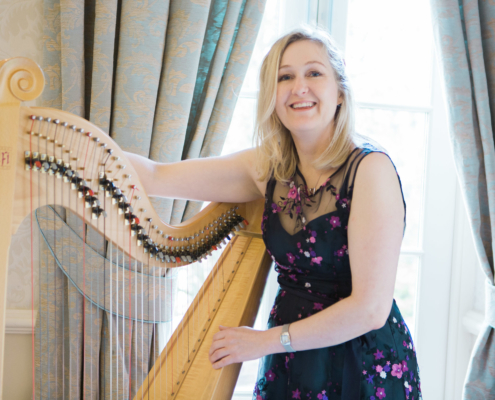 Bethan is a professional welsh harpist with over 10 years experience of playing for Weddings, Functions and Funerals. 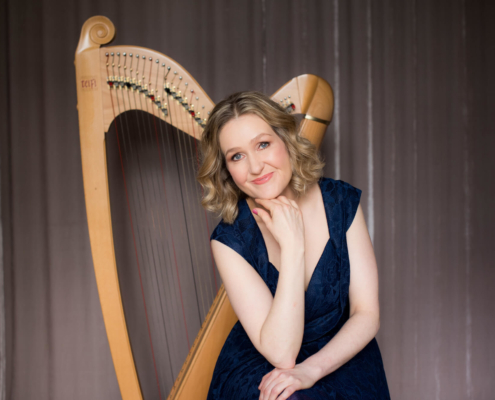 She is an award-winning harpist and singer, having won the coveted Danny Kyle award at Celtic Connections – the only Welsh musician to have won this award. She has a reputation within the Welsh folk scene under her performing name ‘Bethan Nia’ and is releasing her debut album of Modern Celtic-Fusion music this year. Bethan is a modern and versatile harpist. She is just as comfortable playing classical and traditional Welsh music as she is pop standards or jazzy improvisations. Bethan plays a Welsh made harp known as ‘The Eos’, appropriately translated as Nightingale. 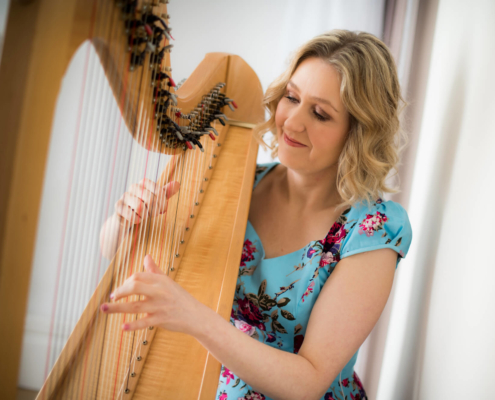 Bethan studied at the Royal Welsh College of Music and Drama and worked for many years as an actress and musician before focusing solely on a career as a harpist and singer. Highlights of her musical career includes a chance meeting with Michael Eavis on a train which led to gigs at Glastonbury for two years running, performing on Bryn Terfel’s Christmas show on S4C, performing at Celtic Connections, Glasgow, Lorient Interceltique festival in Brittany and playing to thousands of people at the opening of the Llangollen International Eisteddfod. Her music has been played on Radio Wales and Radio Cymru. 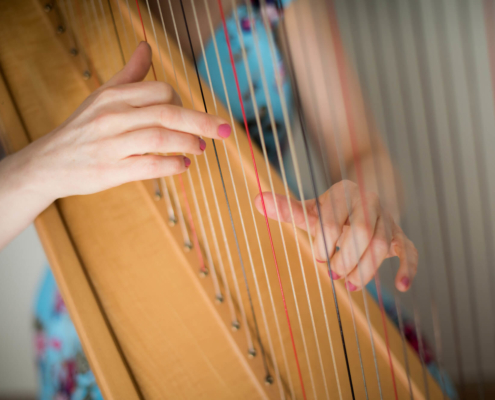 Bethan is also a trained community music facilitator and leads various harp and music workshops within the community. She is fluent in both Welsh and English.